London : Greenland's ice sheet, the second largest in the world, is melting in winter due to heat from the ocean, recent research says. Based on computer simulations, the research by Scottish Association for Marine Science (SAMS) found that strong winter winds in the northeast Atlantic create warm waves below the surface of the Atlantic, which push relatively warm water up Greenlandic fjords, "melting hundreds of metres below the ocean surface", Xinhua news agency reported. 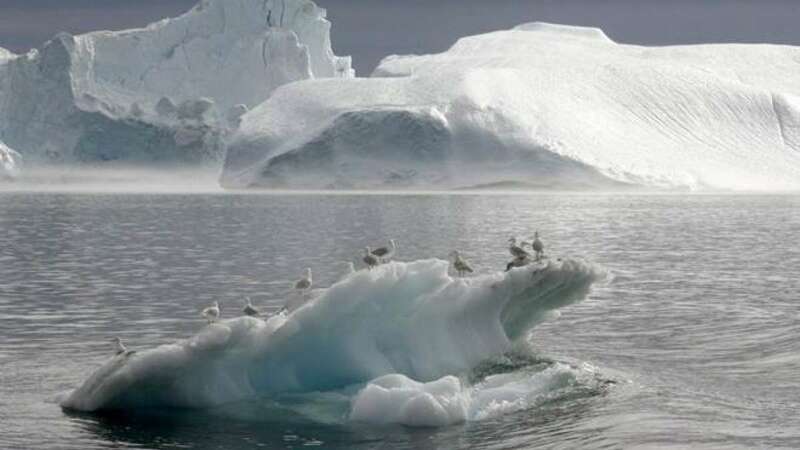 In the paper published in the journal Nature, scientists from the US, Belgium and the Netherlands said the ice sheet in this region is melting at its fastest rate and continued global warming will further accelerate the thawing process. Covering 1,710,000 square kilometres -- roughly 80 per cent of the surface of Greenland -- the melting ice sheet is thought to add 0.8 millimetres of water to global ocean levels annually, making it one of the biggest contributors to global sea level rise and ocean freshening.